78% off the Rampage Women's Messier Flat Slip-on Shoe - Just $8.98! The Rampage Women's Messier Flat (in Mauve) is currently selling for just $8.98 on Amazon.com! You will be saving 78% off the listed price of $39.95 with this women's shoe deal. 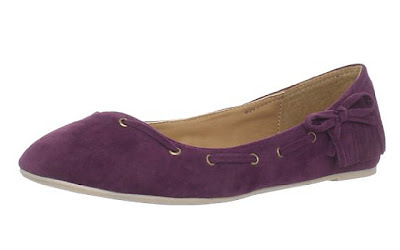 These women's flats are also available in Camel for $11.19!